Like most business owners, Bill Verner of Cooperative Installations understands the importance of a professional looking web presence. Bill’s website serves as an introduction to his hotel supply chain management business, greeting a global audience of clients and prospects 24/7. This is a common challenge business owners face as they realize that a website from a previous decade has become dated — not just in terms of design, but also content. To make matters worse, legacy websites are virtually unusable on modern devices like smartphones. As a result, Bill began investigating options for affordable website design. Initially, he tried building his firm’s website with a service called Wix. That effort ended with mixed results. Bill liked the look of the site, but he found that the Wix system wasn’t nearly flexible enough. On top of that, he had no control over where his website was hosted, making Wix a less than desirable long-term solution. While further investigating his options, Bill discovered WordPress. Bill was impressed — there are many compelling reasons for a business owner to use WordPress. There was just one problem: Bill had no experience with WordPress. In fact, he had no experience at all with web design. 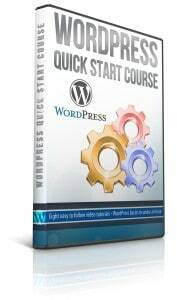 While searching for information on how to turn WordPress into a professional looking business website, Bill discovered WP Apprentice and signed up for the WordPress Website Blueprint. Professional websites can be expensive to design and difficult to maintain. Especially for a business owner with no coding or web design skills. Bill created the new Cooperative Installations website himself over a four week period. How hard is it for someone with zero web design experience to build a professional looking website with WordPress? In the end what matters most is what the business owner and his customers think of the new website. Bill has created a great looking site! Professional, easy to navigate and visually appealing. Just the encouragement I need to take your Blueprint course when it’s time to start on our tworg.com “company” site upgrade. I am proficient in web building. Nevertheless the WP apprentice tutorials have been extremely helpful as I work on my first Word Press site. Support is fast and first rate.